annie grace: worst week ever. This really isn't the worst week ever, but it sure has sucked so far. 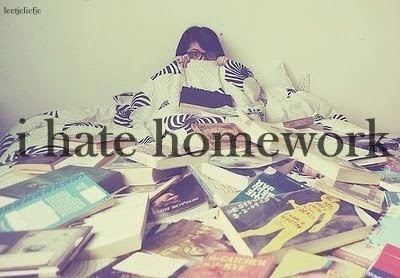 I have so much homework it's ridiculous. I have this miserable stats test tomorrow and an outrageous paper for media law still left to do. I feel like I have spent every second either cramming my brain or doing research. Now I just hope I can keep all my subjects in order. Why does it always happen that teachers decide to give you all their tests in the same week? Anyways, wish me luck. I still have A LOT to do.